Categories: THE MERCHANT OF VENICE, BOUTIQUE, FOR HER, PERFUME. 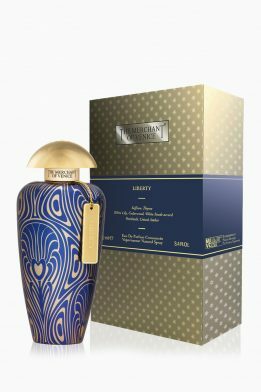 Liberty is a mystical and fascinating fragrance. The heritage of leather is here expressed through an olfactory signature that embodies a warm and spicy accord of saffron, skilfully combined with delicate, white lily. Amber and patchouli make the base note particularly rich and give a unique and fascinating signature to this fragrance.